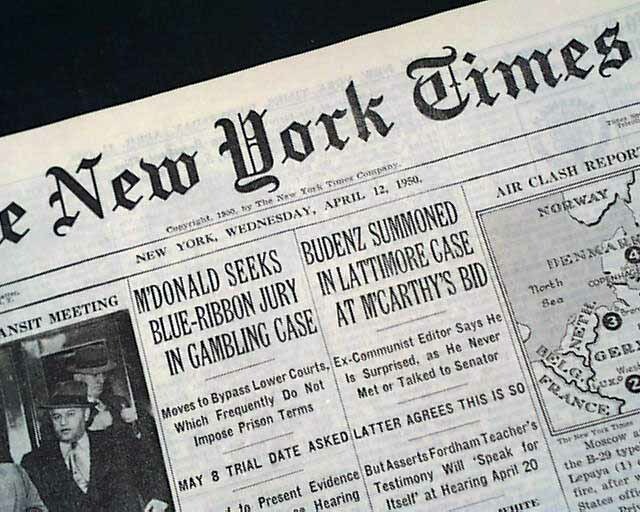 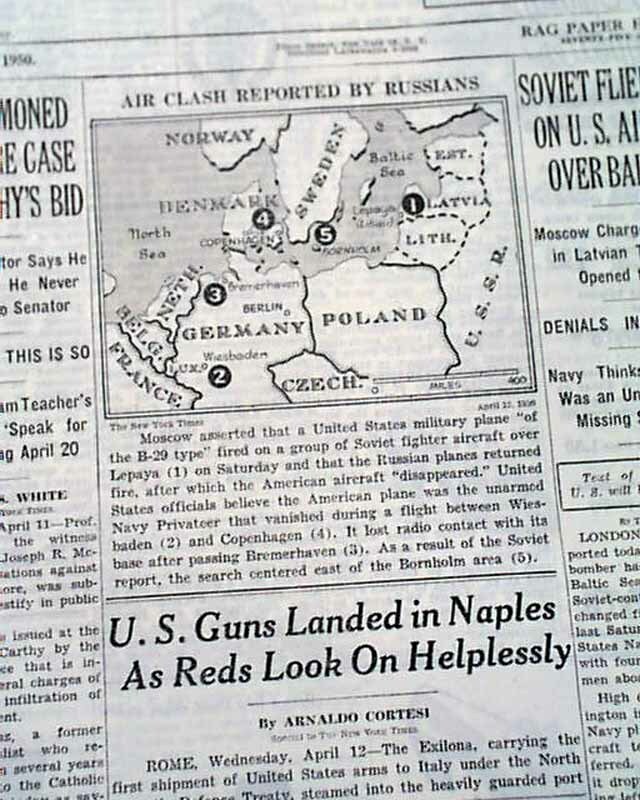 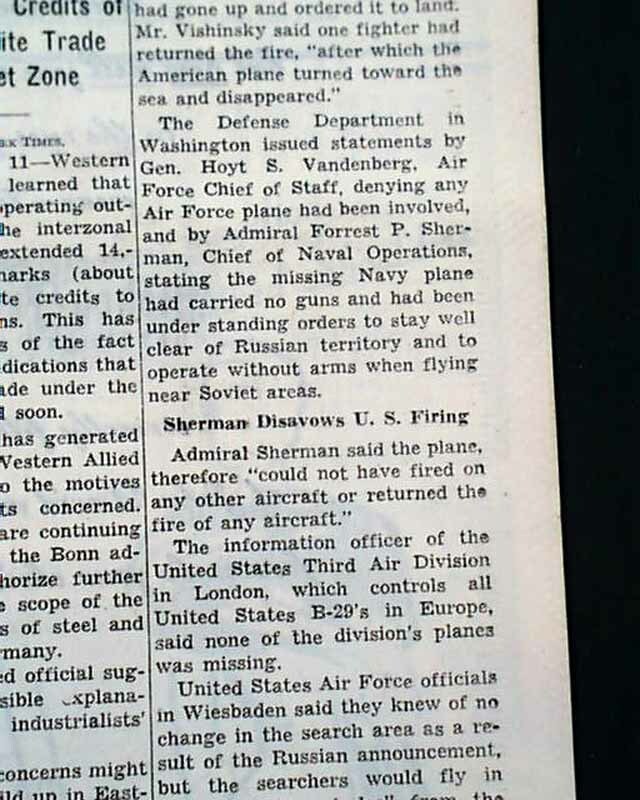 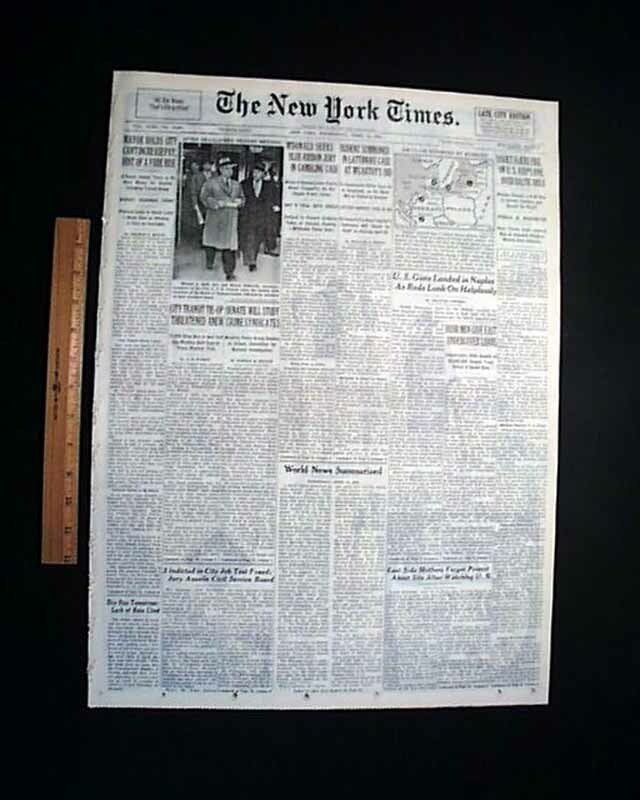 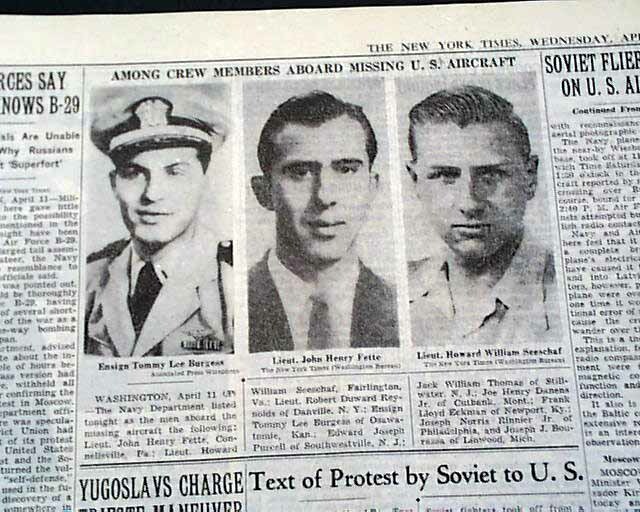 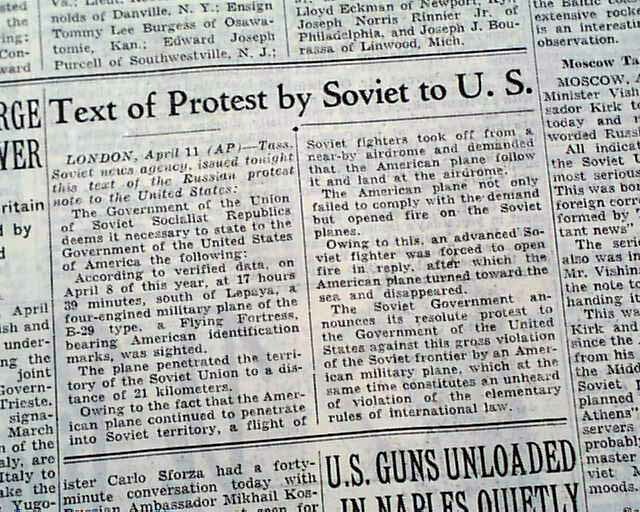 THE NEW YORK TIMES, New York, April 12, 1950 This 56 page newspaper has one column headlines on the front page that include: "SOVIET FLIERS FIRE ON U.S. 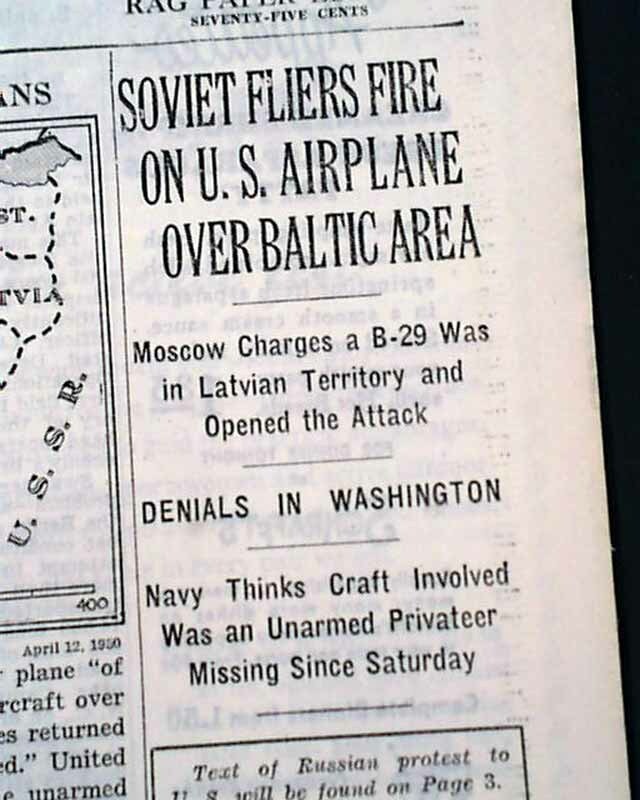 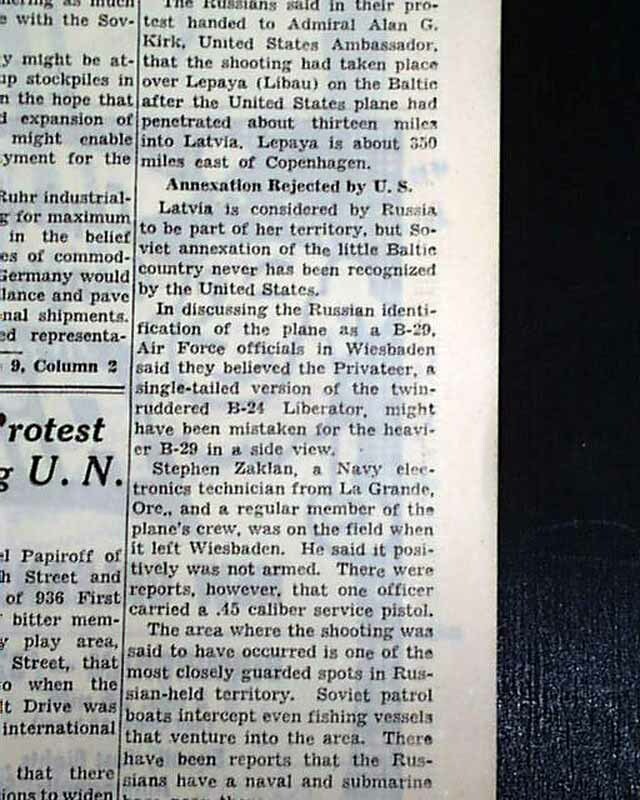 AIRPLANE OVER BALTIC AREA" "Moscow Charges a B-29 Was in Latvian Territory and Opened the Attack" and more with related map. 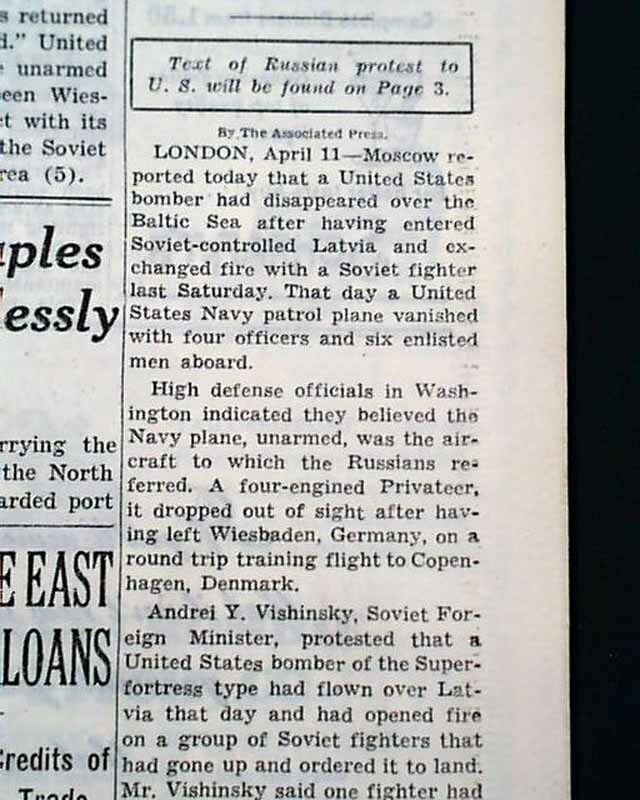 (see) Tells of the Baltic Sea Incident during the Cold War.